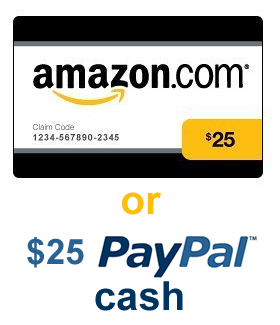 $25 Amazon Gift Card or PayPal Cash Giveaway! I have had a pretty awesome 12 months plus on my blog here and I am loving every minute of it! So as a thank you to everyone who stops by to read or enter a giveaway, I wanted to offer you a useful prize, just from me. In honor of you all, I am having a reader appreciation giveaway right here! Do you like shopping at Amazon? I am addicted to my Kindle so Amazon is my favorite online store. Or maybe you prefer cold hard cash. Don't we all? Whichever your preference is, this giveaway has got you covered. One lucky winner will receive either a $25 Amazon gift card or $25 PayPal cash - winner's choice! Giveaway will end on March 30 at 12:01am EST. Open to US Residents only. Please use the Rafflecopter form below. This giveaway is sponsored by me. This giveaway is open to legal US Residents 18+ only and will end on Friday, March 30, 2012 at 12:01am EST. One winner will be chosen at random using Rafflecopter and will be posted on the Winner's Announcement Page. Winner has 48 hours to claim his/her prize otherwise a new winner will be picked. Winner can choose to receive a $25 Amazon gift card or have $25 sent to their PayPal account. Blogger is not responsible for fees taken out of the winnings which may make the winning amount less than $25. Clean and easy to read. i love your green living sections, great tips and sensible ideas any of us could incorporate. I love your design! Such great stuff on here! Thanks! I love learning new things about you and hearing about your kids. I love your nonsense reviews! I like the interesting recipes that you post! I love your blog. There is always something new and interesting. I love the design. It's so colorful and cute, and the content is great. Of course, I like the giveaways, but it is all good. Love these giveaways! Thanks for the chance! I like your recipes, especially, your Sauteed Chicken & Mushroom Penne recipe. YUM. I love your respect for the planet, and all the nice recipes! I love your honesty in reviews (since we share similar values) and your awesome recipes! Plus, I love how colorful and whimsical your blog is! I love this blog. It always brings something different to the table. It's like a little slice of life, different but relevant topics. LOVE! I love the reviews and recipes. I like giveaways & your green living section. I appreciate the candor you have in your reviews! I like the recipes and giveaways. I love your colors and your photos. I like the reviews, recipes and giveaways. As a foodhistorian, I find the recipes FIRST on any blogs I visit! Yours are quite good, by the way, especially the Panko Breaded Chicken fingers! i like your overall design. and giveaways! Rafflecopter makes giveaways much easier. Thanks! I like everything in your blog from the inspirational stuff to the motivational stuff ,and I would definitely recommend it to my friends. I like the giveaways and reviews. I like that you're into Green living. I am trying to be more Green. Thanks! The design is just adorable! I like the recipes and the giveaways. I like the terrific and generous giveaways that you host! I like the clean layout and easy to read posts. I love the giveaways and the recipes. The recipes are easy, use ingredients that people probably have on hand, and they are all recipes that I would actually MAKE! I like your "Green Living" section. You have great tips and the recipes are great as well. I like the giveaways, of course lol, but I also like the design and layout - it's not as cluttered as many of the review and giveaway blogs are! Green. I am working to improve my green. I do enjoy that going green does save the green. I like the reviews! That way we get an honest opinion. I love the great reviews. It's nice learning about great new products. I am always looking for ways to get money to spend on Amazon :) I really like all your eco-friendly suggestions!! I like your Green Living link. I like how clean and easy to read it is. You dont use a small font and there isn't a lot of clutter on it either. I like the giveaways, and your site is easy on my eyes. I love the blog since you redesigned it. It's functional, and beautiful. I liked your post about talking to your kids about death. My Father has cancer and my almost 5 year old has been asking questions and even though it is hard we are being as truthful as we can with out freaking him out. I'm fond of almost anything organic. Keep thinking and encouraging good health. I like that you are in support of Green Living! Thanks for the awesome giveaway! First time I have seen it, so haven't seen much as yet, but I always like giveaways. I like your green living section. Love giveaways. It helps you remember that their are still giving people in this world. in like the reviews and the recipes. I love all your awesome giveaways! I like your blog cause its bright and cheerful and easy to find everything. I also like your reviews and contests. I love the reviews. Love to get other's opinions before spending money. I really liked your article on the green cars. I like reading the reviews on your blog! great idea! Recipes!!! Thanks for the giveaway! I like the green section, but would love more giveaways....my competive side. I'm new to your blog and absolutely LOVE the design and layout... easy to read and looks very professional. 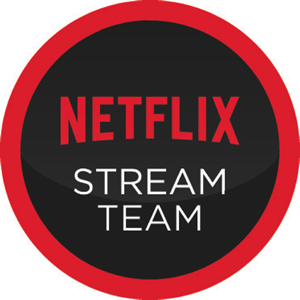 I like that it's convenient, the reviews and giveaways! The giveaways are definitely awesome! And it's alot easier to access than other blogs I've been to. I like your food and green living posts. I like the fact that your blog is not over stimulating with flashy ads & rolling titles, everything is in order, your giveaway list is up to date, most of your social network buttons are together and I don't have to search for them. All of that gives me time to read your blog and enjoy the content. I love how neat, pretty, and pink your blog is. And how organized I can find anything quickly! I can always use extra Amazon money! Thanks for the giveway! I'm always in need of Amazon $'s. Thanks for the giveaway. I like all the different topics you cover family , life, food etc!! Great to see so many topics!! I really like the recipes and the giveaways. Your blog is very put together. It's not a mess and all over the place which is a bonus. Sometimes I go onto blogs and I cant find my way out because everything is just EVERYWHERE. I love giveaways and contests! I like the banner at the top, especially Yoda! I like the fact that it is uncluttered! The reviews are always spot-on and your food posts are yummy. I so need this gift card. I am a newbie, but I do love giveaways and recipes. ladyvon at grm dot net. Your blog is very organized! Love the information. I like the giveaways! You have awesome ones! I love all of your green living posts and tips - I've learned a lot, including many useful ways to incorporate good habits into my daily routine. Thanks! I love the nice, clean design! I like for example,the reminder for Earth Hour March 31st! I like the giveaways and I like the fun spots design at the top. I like your giveaways, reviews and recipes. I love trying new recipes. Thanks for the chance to win. Your Green Living tips are great! As someone who is a HUGE environmentalist, your blog just fits me. Need I say more? LOL LOVE green living advice, reviews, giveaways, etc. I really like your green living section ... lots of great info there! Thanks for this opportunity! Sears' Family & Friends Sale is Back! Wordless Wednesday: Spring is on the Way! Dr. Seuss' The Lorax Movie Review and #Giveaway!